THESIS : Indonesia is a culturally-diverse country. Many different religions and cultures from many provinces are now seen living side by side in many places. One of the biggest questions facing Indonesian today is how to deal with a culturally diverse citizenry and then promote unity. 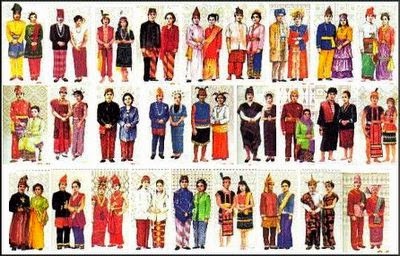 ARGUMENT 1 : Therefore, Indonesians should appreciate differences among culture for the following reasons. Firstly, Indonesia is vulnerable to separation for its archipelago and culture diversity. Raising tolerance among people is the best way to maintain the unity among differences. Many ways or cultures of living are equally legal, even if they are not regarded as normal by some people. If a society claims to be tolerant of personal choice, then it must respect the personal choice to retain their heritage. Then, unity of the nation can be preserved. ARGUMENT 2 : Secondly, Indonesians must recognize that every culture has different customs and beliefs. Thus, people are forbidden to make judgments of comparative value, for it is measuring something unmeasured. A plurality of nations, especially in the modern era, can allow for cultural development and cultural exchange that benefits both parties. The cross-cultural understanding among cultures makes the world a better place and preserves the unity of the nation. ARGUMENT 3 : Lastly, raising nationalism is one way to preserve unity of the nation. It is a sense of fellow feeling between group members. This promotes cooperation and social cohesion within the group. The sense of social cooperation makes welfare, social security and medical programs much more likely and stronger. RECOMMENDATION : Cultural differences are sometime a sensitive matter for people. Indonesian people must teach younger generation about the importance of the cultural identity and nationalism to promote unity of the nation. Demikian contoh hortatory exposition mengenai why Indonesian people should value all different cultures. Semoga bermanfaat.Untuk melihat lebih banyak contoh hortaroy exposition, silahkan kembali ke halaman hortatory exposition.